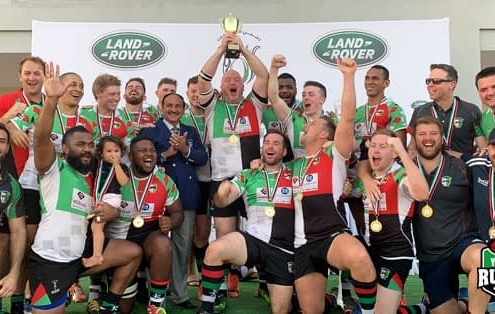 As Abu Dhabi Harlequins and Gulf Rugby bid farewell to Head Coach, Mike McFarlane, after his shock resignation last week, we dedicate this week’s ChoosdayChat to the quintuple trophy winner. ‘Mikey’ is the only nickname that has ever really stuck. When you’re not coaching, what do you like to do in your spare time? I spend time with the littl’un, be it swimming, the beach or doing jigsaws. I also like Keeping fit and getting outdoors, but I especially enjoy eating great food and BBQing. Proper butcher’s sausages! You just can’t get them like back home. It’s been a while now, but I used to play flute and saxophone. What was the last takeaway you ordered? KFC… I’m guilty for a Twister!! Who do you think will shine as a coach in Japan this year? Gregor Townsend with Scotland and Warren Gatland on his last outing for Wales: both have the draws, squads and potential to push into the knockout stages of the World Cup. What’s been your favourite moment as a coach? The 2016/17 season, winning everything when the league was at it’s strongest. About 4 teams could have won every trophy that year but the boys were phenomenal, in quality and depth, both 1st and 2nd XV. Whats your favourite punisher drill for the boys? I’m not a fan of flogging the boys but one which is a killer in terms of skills under fatigue is the “Fiji touch 4v2 drill”. Who’s the best dancer/singer at the Quins? Muneeb Galant…the passion that boy puts into his rugby is nothing compared to what he puts into singing “Senses” in the sheds with a few shimmys…if he’s not recording it all. If you could be one of the Quins players when you were playing, who would it be? How’s life in Abu Dhabi? It’s a great lifestyle with some fantastic opportunities and over 8 years I’ve been lucky enough to attend a range of brilliant events and meet some top quality people. 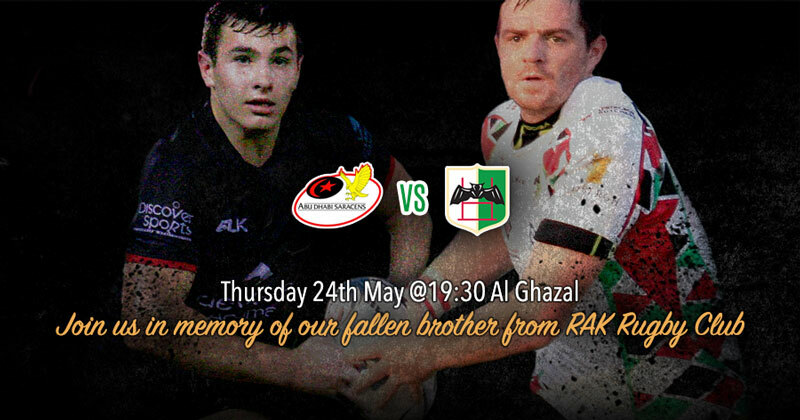 What are the best things about the being part of Abu Dhabi Harlequins rugby club? The “One Club” culture has been epic to build and see flourish. For me, the players – hands down the best lads on and off the pitch you could hope for. It’s always been a pleasure singing with the boys. For sports chat around the table, I’d say Freddie Flintoff, Anthony Joshua and Johnny Wilkinson. For a general chat I’d say Sir David Attenborough, James Corden and Sir Richard Branson. Travel as much of the world as possible, experience more cultures and learn more languages. 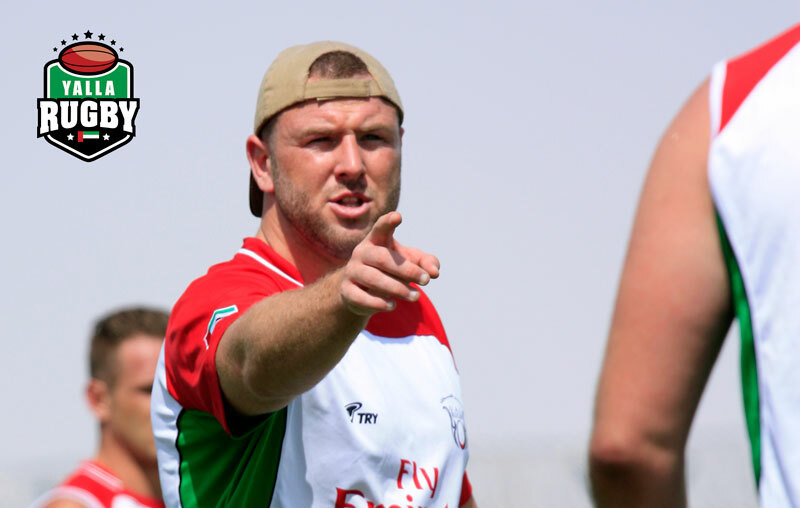 McFarlane oversaw the Harlequins’ rejuvenation in UAE rugby and memorably steered the club to a clean sweep of major trophies. 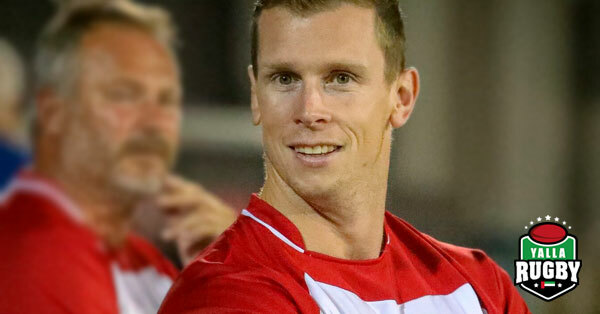 The quintuple, back in the 2016/17 season, included lifting the West Asia Premiership, West Asia Cup, UAE Premiership, Dubai Sevens and Asia Rugby Western Clubs Champions League titles, after which McFarlane revealed he had considered leaving for the second time, having first entertained the thought in the summer of 2016. Set to leave the UAE due to personal reasons, his resignation midway through the season arrived as a shock to a club who had grown used to success under his coaching. No other club in the region has won more trophies than Harlequins in the time since McFarlane succeeded Jeremy Manning as the team’s coach back in 2015. For any club at any level to be able to put out four sides on a regular basis is impressive and Harlequins’ consistent ability to do so this season must rank as one of the best achievements in the UAE rugby game. 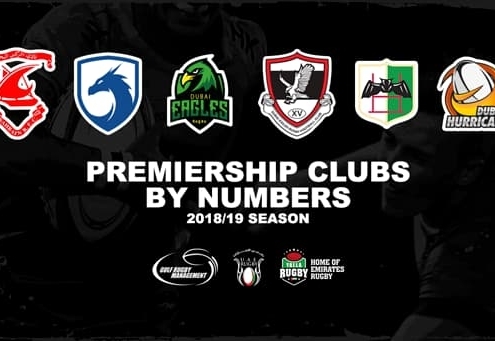 Although winless in the first half of the campaign, Quins 4s had been far from whipping boys and this weekend they broke their duck with a 37-31 triumph over DSC Eagles 2s. We think this must be the first ever occasion on which a 4th team has recorded a win in UAE rugby and that sees them named our first ‘Team Of The Week’ for 2018. 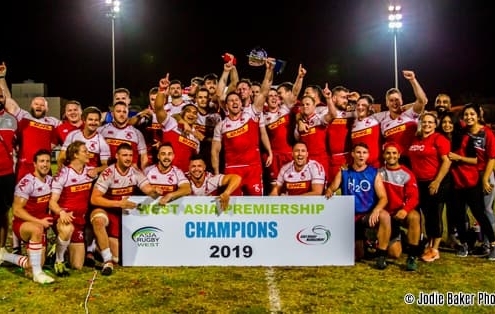 The key game involving Premiership sides was a West Asian clash, which saw Bahrain’s unbeaten record finally fall to Jebel Ali Dragons. The Dragons had to come back from a 15-9 deficit on their own turf to edge out a 26-23 win, aided by an interception score. The win was not enough to keep the Dragons atop the West Asia standings though with Abu Dhabi Harlequins putting the Eagles to the sword 74-8 which sees the reigning champions top the West Asia standings on points difference and pull clear in the UAE Premiership. It is looking very much like a four horse race to qualify for this season’s grand final. Jebel Ali Dragons 3s enjoyed a comprehensive 71-27 win over Al Ain Amblers 2s, maintaining an unbeaten record that is matched only by Beaver Nomads. 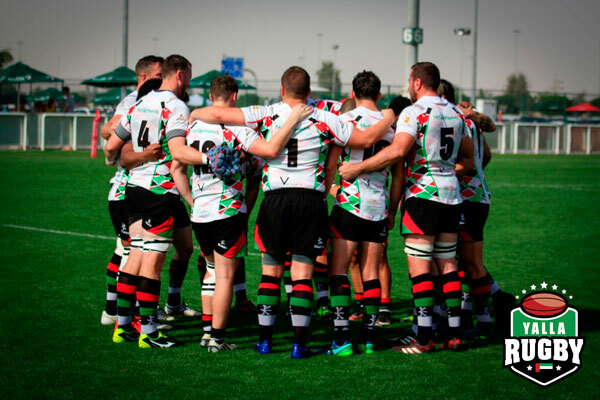 Abu Dhabi Harlequins 3s and RAK Rugby remain hot on their heels and indeed level on 20pts but having played a game more, both sides winning hard fought and high scoring encounters this weekend over Dubai Hurricanes 3s and Abu Dhabi Saracens 2s respectively. The remaining fixtures between these sides will likely define the final standings though plenty of sides will be out to upset the applecart before the dust settles. 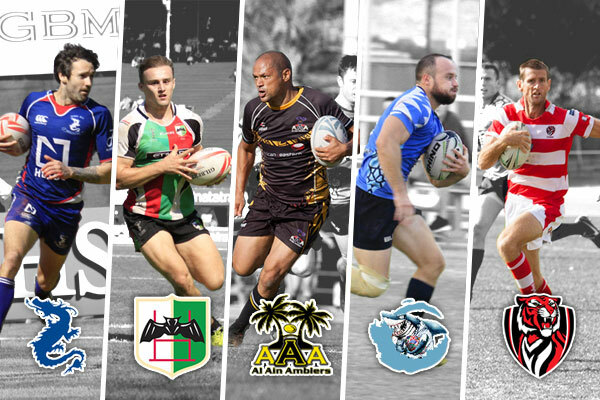 Heres the last Yalla Rugby roundup of 2017 and the fixture list for after the holiday season. 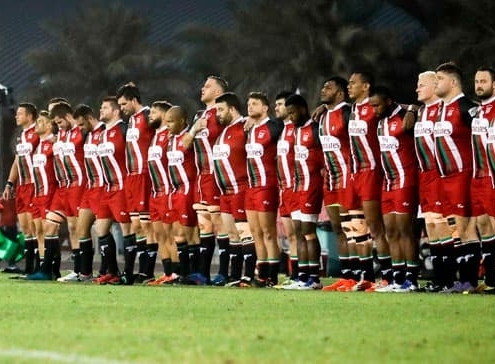 Abu Dhabi Harlequins may have seen their stranglehold on UAE Rugby dented at the Dubai 7s but there can be no question that when it comes to strength in depth, they remain the country’s strongest club. 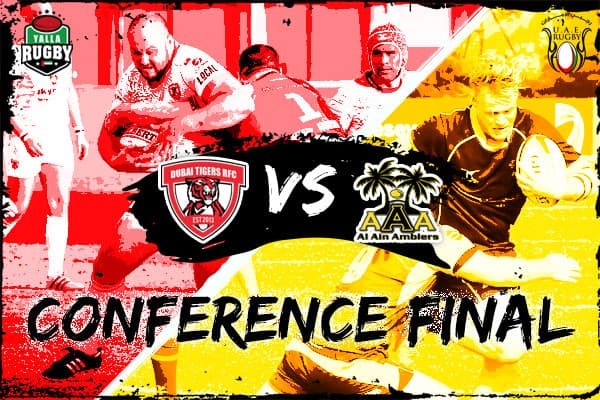 On a weekend where their 1s were preoccupied it’s the small matter of the Abu Dhabi derby with Saracens and at a time of year which typically tests squad depth, their 2s were left with a potential banana skin assignment of an away trip to Al Ain Amblers. Al Ain despite a lowly league position are the top scoring side in the UAE Conference this year and competed in the premier ‘League’ tournament at the 7s. To come away with a 62-12 victory and restrict the Amblers to just two scores is no mean feat and sees Harlequins 2s deservedly top the conference table at the half way point. The only blemish on an otherwise unbeaten record for the second string Quins’ is a reverse to Exiles 2s, which they will be keen to avenge in the second half of the season as the league splits. 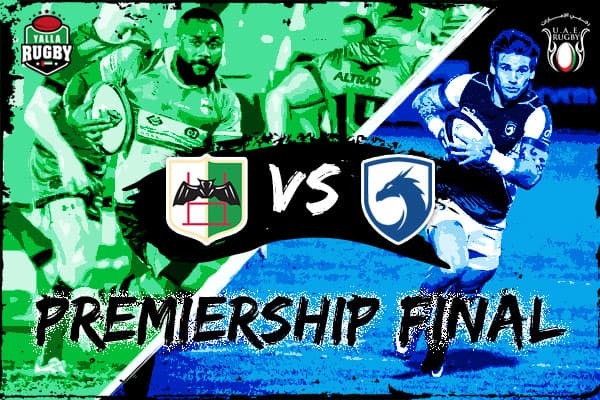 That grudge match promises to be a cracker and whilst there is plenty of rugby to be played, few would bet against a third clash between the two outfits in the eventual Conference final. 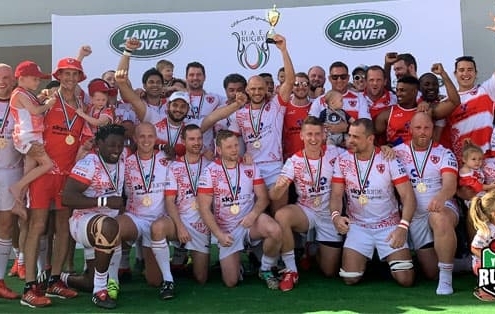 It was business as usual at the top end of the Premiership with comfortable wins coming for the top two placed teams, Jebel Ali Dragons and Abu Dhabi Harlequins, both of whom will doubtless have been glad to get back on the field after disappointment at the 7s. Jebel Ali were indeed back at the Sevens Stadium taking on Dubai Hurricanes and their 30-13 win sees them top the table going in to the new year. Harlequins remain unbeaten having played a game less and swept aside winless city rivals Abu Dhabi Saracens 78-6. It has been a tough start to the season for Saracens both on and off the field, particularly in contrast to the success being enjoyed by their neighbours. The capital city deserves a meaningful rivalry so we can only hope for an upturn in fortunes for Sarries in the new year. 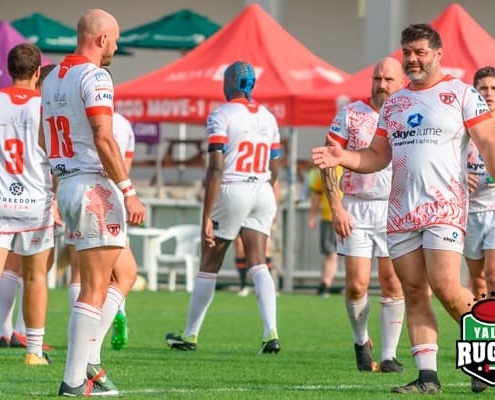 Elsewhere in a West Asia fixture, Dubai Sports City Eagles fell to a 39-5 defeat to Bahrain who also put a disappointing 7s showing behind them to resume their impressive form in the 15s format. There were just two completed matches in the final round of Conference fixtures before the league splits to top and bottom half competitions. Harlequins 2s, already well assured of a top half berth, put an end to Al Ain’s hopes with their victory in the garden city. Dubai Tigers were assured of their place via a walkover with Arabian Knights unable to fulfill the fixture for a second time this season. Sharjah Wanderers also pulled out of their fixture with Exiles which is perhaps more surprising given their strong performances this year, which have also put them in the top half of the table. That left Dragons 2s and Hurricanes 2s vying for the final spot and despite a 47-25 win for Jebel Ali, bonus points leave Hurricanes one point ahead and in fifth spot. The Dragons will be left to contest the bottom half and will go in to that as likely favourites. You can view the updated Top 5 and Bottom 4 fixtures here or view the split league tables ready for the New Year action getting back on track. Harlequins ran out 29-25 victors over an Exiles side who have made a strong start to this season and in doing so maintain their unbeaten start. While the victory may seem unremarkable for a side so accustomed to success, Quins played on Friday under particularly tough circumstances having been dealt the devastating blow of learning that their centre Garth van Niekerk who had been diagnosed with terminal cancer sadly passed away. 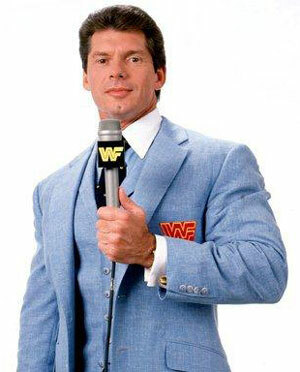 Our thoughts are with all those who knew him. A fitting tribute was paid by both sides in putting on a closely contested match and joining together to set traditional rivalries set aside at the final whistle. Harlequins remain unbeaten but it is Jebel Ali Dragons enjoying top spot after a comfortable bonus point win 40-9 over winless Abu Dhabi Saracens. Quins still look well placed with three wins from three but a points difference of only +13 shows that this year’s side is not quite the juggernaut that swept all-comers aside last season. Dubai Hurricanes were also in action, falling 34-17 at home to Bahrain, who have enjoyed an extremely impressive start to the campaign. 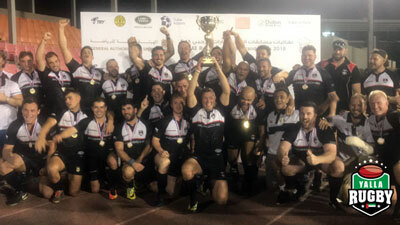 Having both set the early season pace, all eyes this weekend were on the clash at Zayed Sports City between Abu Dhabi Harlequins 2s and Sharjah Wanderers. The action on the field certainly did not disappoint, with the Quins surviving a late onslaught to hold on to a 24-23 win, ending Sharjah’s unbeaten start to the campaign. 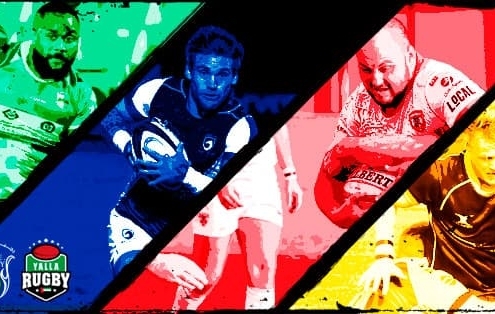 Both sides now look relatively assured of a top half finish and with Dubai Sharks and Arabian Knights cut adrift at the foot of the table the focus in coming weeks will be on the scramble to secure top half berths with five sides in the hunt. 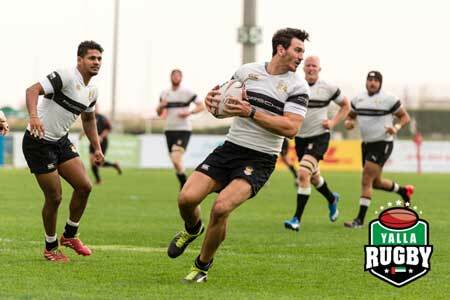 Dubai Tigers now head the chasing pack after dispatching Dubai Sharks 55-7 in a repeat of last season’s bottom half final. 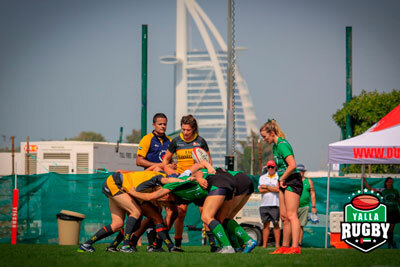 Al Ain Amblers have pulled themselves back in to the mix courtesy of a 31-29 win over Jebel Ali Dragons 2s, while Dubai Hurricanes 2s, produced an impressive display to confine Dubai Exiles 2s to a 27-12 defeat at the Sevens. As ever, plenty of high scoring affairs in the Community league, with Hurricanes 3s once again on the wrong end of a basketball score in their 45-36 defeat to the Amblers 2s just two weeks after succumbing 57-55 to Dragons 3s. 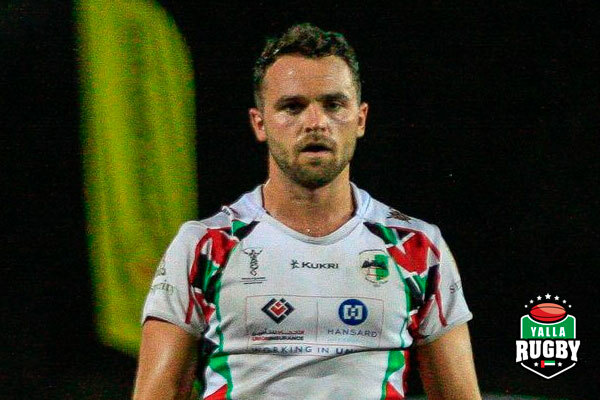 There were impressive wins for both Beaver Nomads and RAK over Harlequins 4s and 3s respectively, which leave both sides well placed towards the top of the standings. 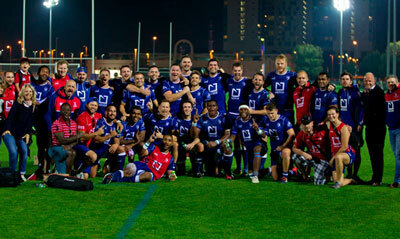 The most competitive fixture of the week provided some welcome respite for Arabian Knights with their 2s holding off Dubai Sports City Eagles 2s in their first completed fixture at Community level by a scoreline of 26-25. Whats New With The UAE Premiership League? Can anyone knock Abu Dhabi Harlequins off their perch? On the face of it, it’s a big ask. 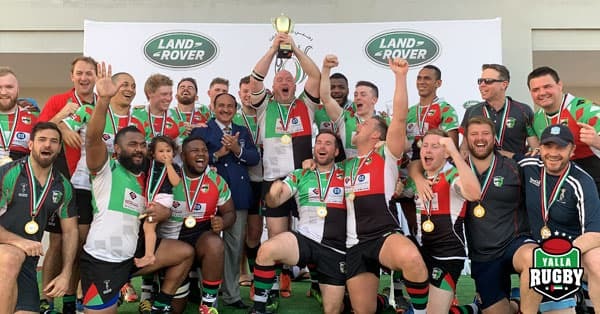 The Quins swept all before them last season completing an unprecedented quintuple of trophies including both the UAE and West Asia Premiership titles. With the core of this side remaining together this season, the capital city side certainly begin as the team to beat. What may offer their rivals a glimmer of hope is that the off-season has not been without its challenges for the Harlequins with reported loss of lucrative sponsorship deals impacting recruitment and preparation. 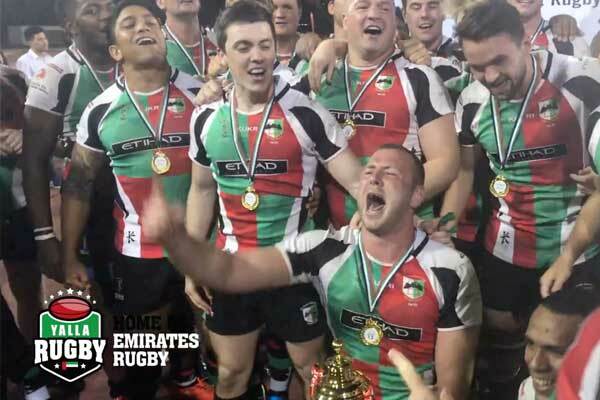 None has a bigger point to prove than the UAE’s oldest club, Dubai Exiles who endured a disappointing 50th anniversary campaign last year, surrendering their Premiership crown with barely a whimper. 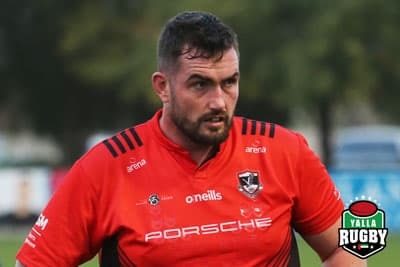 Steady recruitment over the summer, including the addition of Ireland and Munster capped Denis Hurley as Assistant Coach should see Exiles mount a stronger challenge across the board this season. How will the UAE’s newest club faire in their debut season? 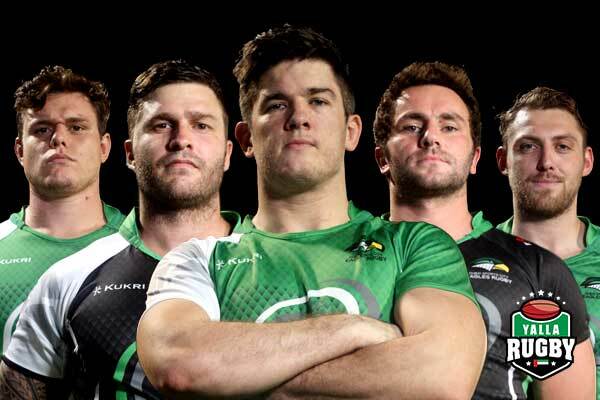 The formation of Dubai Sports City Eagles has been the major talking point of the summer and all eyes will be on the debutants after their somewhat controversial immediate insertion in to the top level of UAE rugby. 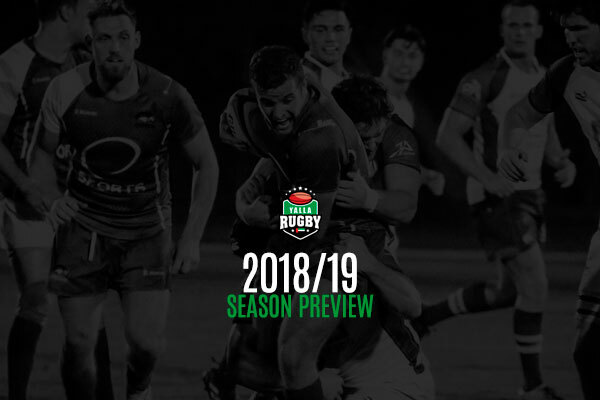 If a pre-season 59-5 drubbing at the hands of Jebel Ali Dragons is anything to go by, they still have plenty of work to do to mould a side capable of competing on this stage. 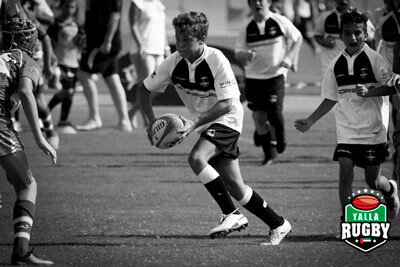 However, strong off field foundations are in place and the prospect of playing elite rugby at Dubai Sports City is likely to prove attractive to prospective new players. 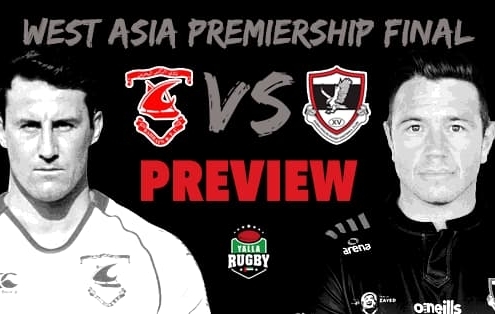 The club hierarchy may not expect to challenge for silverware this season but the pressure will be on coach Pat Benson to show that the Eagles belong at UAE rugby’s top table. 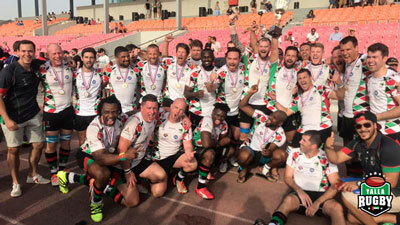 This weekend saw the last of the UAE competitions’ games with a month long break coming in to play for the UAE Rugby Eden Park 7s and Emirates Airlines Dubai Rugby 7s tournament. In the UAE Premiership there were a couple of stunning tries scored as the Harlequins 1st XV just edged the Dragons 1st XV, who produced an extremely brave performance but just fell short. The 30 – 31 win means Quins still remain unbeaten this season, quite an achievement. The other match of the Premiership was Saracens 1st XV against the Exiles 1st XV. Another close affair showing how tough the Premiership really is. The result ended in favour of the Exiles who won 14-17. Over to the UAE Conference now and the Saracens 2nd XV played against last years champions Sharjah Wanderers 1st XV who were coming into this match off the back of 3 straight defeats. This wasn’t reflected in the match however as the Wanderers ran out a convincing 45-12 win. The Dubai Sharks 1st XV saw their 4 match winning streak come to an end as they were taken apart by an impressive Dragons 2nd XV side who scored some slick tries to win 52-10. The Harlequins 2nd XV produced an emphatic performance, dominating the Wasps 1st XV (who are no pushovers), in a mighty 66-13 thrashing. The Amblers 2nd XV are finally beginning to find their feet this season as they put in a huge performance running away with a huge 90-7 win against the Tigers 1st XV. A very physical and close fort match between the Knights 1st XV and Hurricanes 2nd XV was unfortunately recorded as a forfeit with the win going to the Knights. 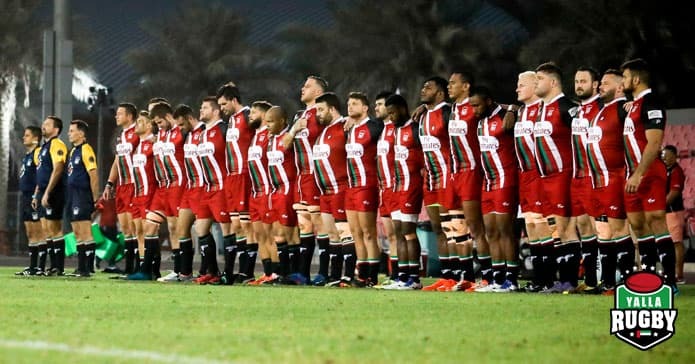 There were only 2 UAE Community matches taking place this weekend with the Dragons 3rd XV taking on the Sharks 2nd XV at home, the result went in favour of a powerful Dragons side who cruised to a 53-5 win. The ever improving RAK Rocks secured their first win of the season with a narrow 20-25 win over the Amblers 3rd XV. Rocks Chairman, Mike Silvester will be pleased with this result and will no doubt be hoping to build on this victory over the next few weeks off.